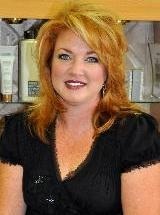 I am the owner of Artistic Image Salon and Spa throughout the years of owning my business I have grown professionally and personally. My philosophy on Wellness and Beauty is to make all of my clients feel good about their physical and mental well begin. Other then my profession my family is my priority. I love to travel, constantly learn new techniques, and I enjoy entertaining. I pride myself by actively being involved in charity work for various organizations. I love working efficiently and as a team with my friendly staff. I am a Hairstylist and Nail Technician at Artistic Image Salon and Spa. I enjoy painting, cooking and sewing. I like to do hair because I like people to feel good about themselves and their appearance. Also, I enjoy meeting new people and getting to know them. Artistic Image Salon has a fun atmosphere and I will be here for a long time to serve your needs. I am a Hairstylist and Nail Technician at Artistic Image Salon and Spa. I enjoy doing hair and nails because I love to make people happy. Its is my joy to make a client leave feeling pampered. In my free time I love to entertain, cooking, and spending time with my family and friends. I also love to shop. Working at Artistic Image Salon is an opportunity for me to show my skills in the industry so you feel completely well taken care of. Since an early age I realized I had a natural ability and passion for cutting, coloring and styling hair. I understand that every person has an individual life style that makes them unique. The hairstyles that I create for my clients are modern, low maintenance, and reflect their special individuality. I enjoy traveling, riding bikes, and spending time with family. I have always enjoyed doing hair and makeup, even before I became a professional. I believe that continuing education is very important in this industry where there is constant change. 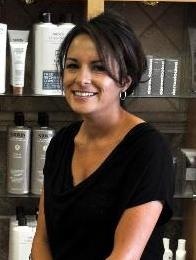 I am a Certified Redken Specialist, therefore hair coloring & color correction are my specialty. I have also attended the Matrix Global Academy in New York, and worked as a Lancome Makeup artist. I enjoy making my clients feel good about themselves, their satisfaction is my top priority. I enjoy working at Artistic Image Salon, it gives me an opportunity to provide quality services to all of my clients. I specialize in hair care only. My favorite part of doing hair is color. I enjoy making people feel good about themselves. I enjoy shopping, camping, hiking, and being a mom. I value the presentation of my clients and do quality work! I look forward to making you look and feel your best.